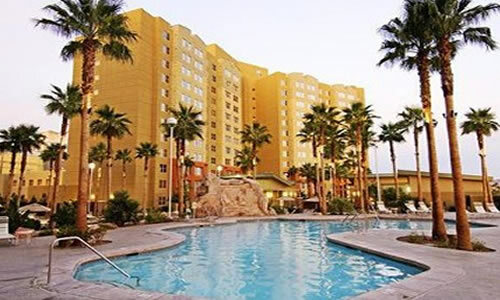 The Grandview at Las Vegas Resort is situated less than six miles from the Las Vegas Strip. 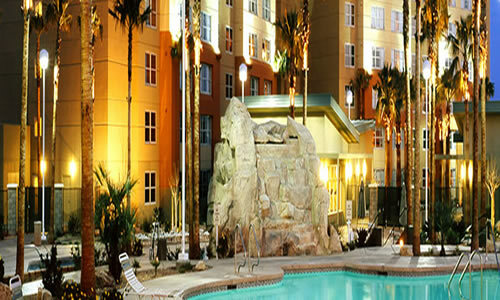 The resort features extremely spacious one or two bedroom floor plans and offers easy access bright lights of Las Vegas. Including top billing shows or the famous casinos you will not be short of something to occupy yourself with. 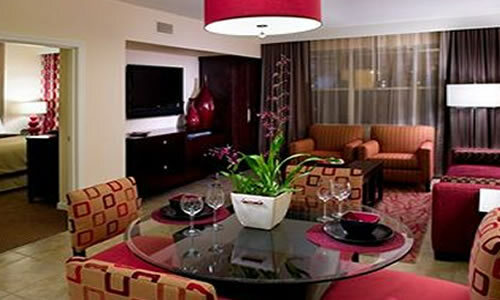 Situated adjacent to South Point Casino, Grandview is well placed so that you can enjoy a meal in one of the many restaurants and if self sufficiency is your thing then you have your own private kitchen equipped with, microwave convection oven, refrigerator with ice maker, dishwasher, coffee maker, and toaster. Other accommodation amenities include a washer and dryer in every suite. An ideal Las Vegas resort.